In a medium bowl, stir together chicken, celery, and egg. Add yogurt, mayo, salt and pepper, stir to combine. Top half of bread slices with lettuce leaves. 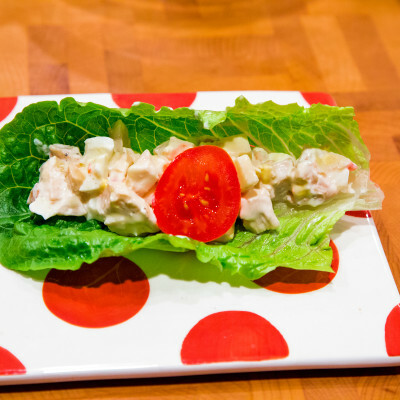 Add tomato slices, cucumber slices, and 1/4th of chicken mixture onto each sandwich. Top with remaining bread slices. Cut in half and serve.